Wouldn't this make a charming image for an Easter project? I thought so with the stylish lady in her grand hat. It's traditional, well at least when I was a young girl, to wear a lovely new hat for Easter. 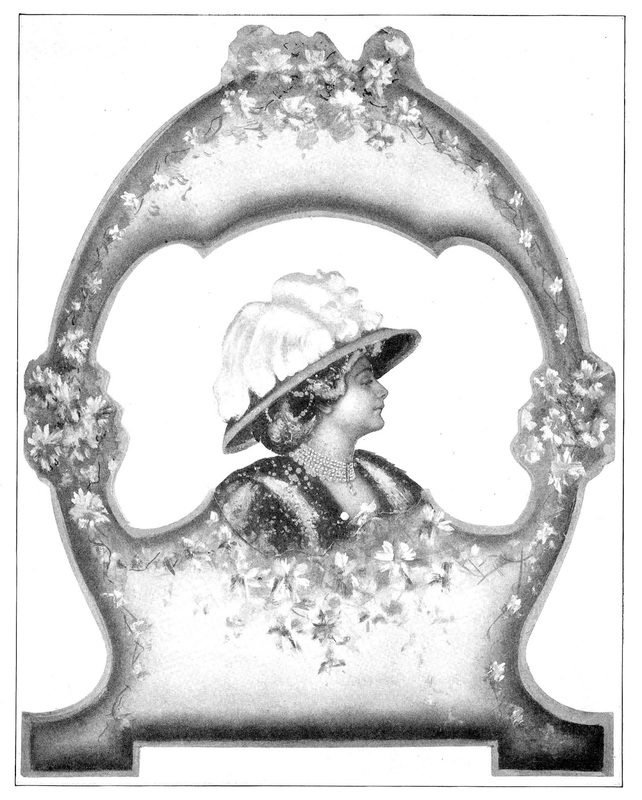 This vintage image from an advertising book certainly suggests Easter with the lovely hat, as well as the shape of the frame around the image of the woman. I hope you enjoy!